Roller derby is an exciting, innovative sport that has been pioneered by women and gathered a loyal following in the first decade of the twenty-first century. Seeing the parallels between the Women’s Liberation Movement and the Roller Derby scene inspired artist Ellie Harrison to found the National Museum of Roller Derby as her contribution to 21 Revolutions. Roller derby influenced publications including Inline. 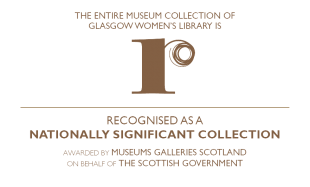 As well as launching the collection, Ellie Harrison designed a logo for the NMRD – T-shirts and stickers featuring the logo are available in the GWL Shop, and every penny raised goes towards supporting the work of GWL. 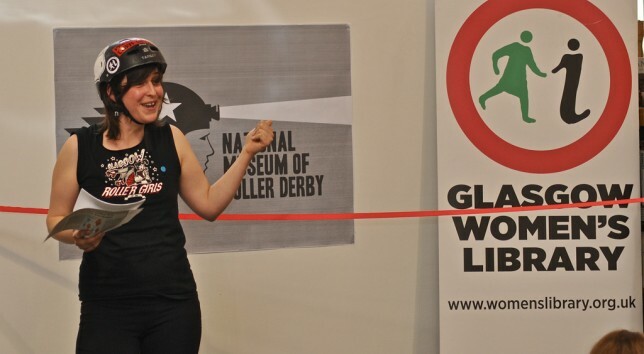 The National Museum of Roller Derby is the UK’s first permanent collection of ephemera and memorabilia relating to the sport of Women’s Flat Track Roller Derby. April 2019’s NMRD Object of the month is a tournament trophy from the End of the World Series in 2012.